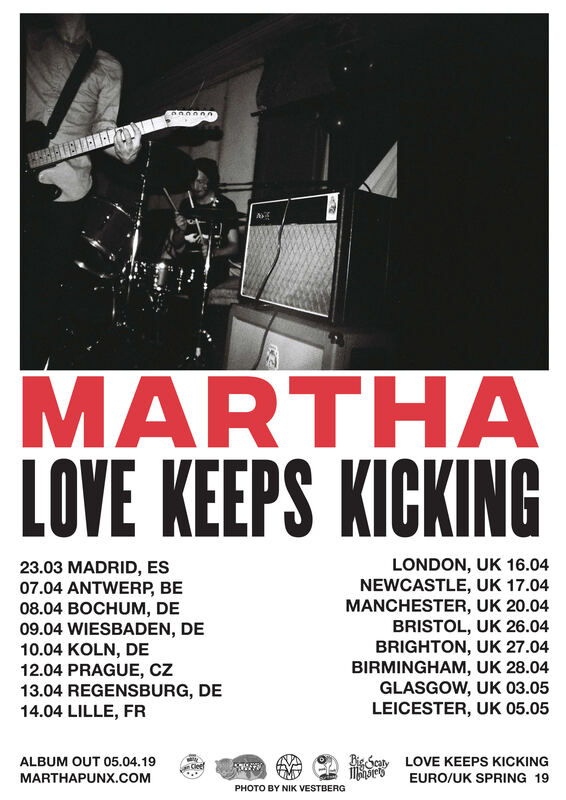 Indie-punk heroes Martha have announced details of their brand new album Love Keeps Kicking, out April 5th! Love Keeps Kicking is released April 5th and is available to pre-order now. To celebrate the release the band will play with an extensive European tour, kicking of at Madrid’s Popfest on 22nd March. The tour will see the band play some of their biggest headline shows today, including a date at The Garage, London on 16th April. Tickets for for all shows are available from marthapunx.com.